We don’t know if that is THE 2,000th or not, but you get the idea. Even better: Check the video. The commemoration honored the Barry crew members for their role in the milestone launch. 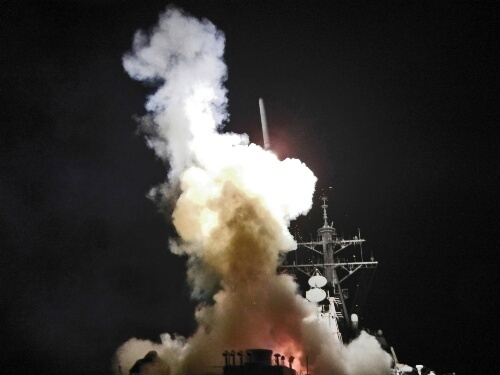 Tomahawks have been around for more than 30 years and have been used in every major U.S. combat operation since the first Gulf War in 1991. 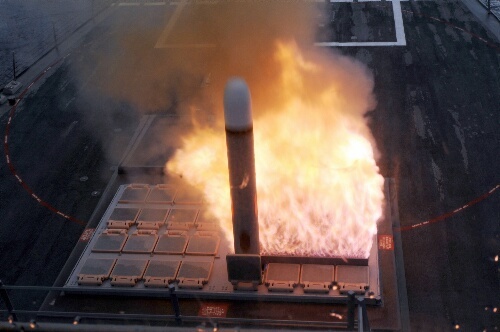 It can be launched from Navy ships and submarines, as well as Air Force bombers. It’s also used by the Royal Navy.